Sadhguru looks at how Patanjali defines yoga as “chitta vritti nirodha”, or to still the modifications of the mind. He tells us a story to illustrate the point. Sadhguru: Searching for truth is itself a big illusion because whatever we term “the truth” is always and everywhere. We don’t have to search for it or seek it. It always is. The only problem right now is you are capable of experiencing life only through the limited dimension that we call “mind”. 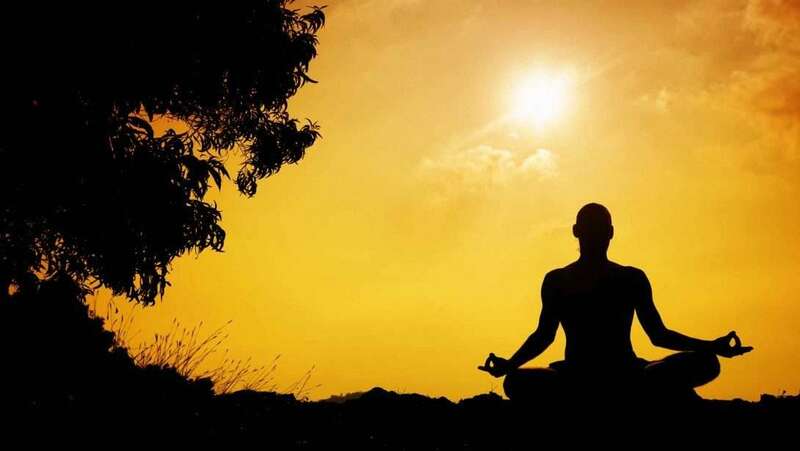 Patanjali defined yoga as “chitta vritti nirodha”. That is, if you still the modifications or the activity of the mind, you are there: everything has become one in your consciousness. Yoga has innumerable devices, innumerable methods of working towards a still mind. We may be pursuing many things in our lives, we may be going through the processes that we call achievements in our life, but to go beyond the modifications of the mind is the most fundamental, at the same time, the highest achievement because this releases a human being from what he is seeking, from what is within and what is outside – from everything. He becomes an ultimate possibility if he just stills his mind. What most people are after right now in their lives is fundamentally to achieve happiness and peace. But most spend a whole lifetime and never get to be truly happy or peaceful. Whatever happiness and peace that one knows in life is generally so fragile that it is always subservient to the external situation. So, most people’s lives go in trying to manage a perfect external situation – which is impossible to achieve. Yoga focuses on the inner situation. If you can create a perfect inward situation, no matter what the external situation, you can be in perfect bliss and peace. This reminds me of a certain situation that happened in the South Indian yogic tradition. Once, there was a devotee whose name was Tatvaraya. Tatvaraya encountered a very beautiful master in his life, whose name was Swaroopananda. This master never spoke. As a human being, he spoke here and there, but as a guru he never spoke. This was a silent master. Tatvaraya found tremendous bliss and joy in being with his guru, and he composed a bharani. A bharani is a certain composition in Tamil, which is generally composed only for great heroes. A few days passed; they sat quietly. After about eight days of all of them just sitting quietly, Swaroopananda moved his mind. Editor’s Note: Excerpted from the ebook “Himalayan Lust”, available at Isha Downloads. Check out the preview for a taste! Amalgamating Sadhguru’s discourses during yatras to the Himalayas, the book is a blend of the specific and the timeless. It is a chance to make a pilgrimage on the page, travelling through the unpredictable but fascinating terrain of the Master’s words. Editor’s Note: Subscribe to the official Sadhguru YouTube channel to watch new videos every Monday, Wednesday and Friday. It's time we come of age as a nation. Let's make a clear statement that 'freebies for votes' is not the way. We want long-term solutions for the well-being of all. Aw, it was a really quality post. In theory Id like to write such as this too – spending time and real effort to create a really good post but so what can I say I procrastinate alot and not seem to go done. My kind regards, Adelaida. Thanks for taking the time to talk about this, I feel strongly about it and enjoy studying more on this topic. If possible, as you acquire experience, would you mind updating your weblog with far more data? Its very helpful for me. I wanted to say Thank You for providing this information, youre doing a great job with the site if you get a chance would you help me make some changes to my site? Ill pay you for your help, you can find the link to my site in my name. Thank you! This website has some really helpful info on it. Cheers for helping me. Dude, please tell me that youre going to create additional. I notice you havent written another blog for a while (Im just catching up myself). Your weblog is just too important to be missed. Youve acquired so a lot to say, this kind of knowledge about this subject it would be a shame to see this blog disappear. The internet needs you, man! Hi. Magnificent job. I did not expect this on a friday night. This is a terrific story. Thanks!